Functionality in piste powder. 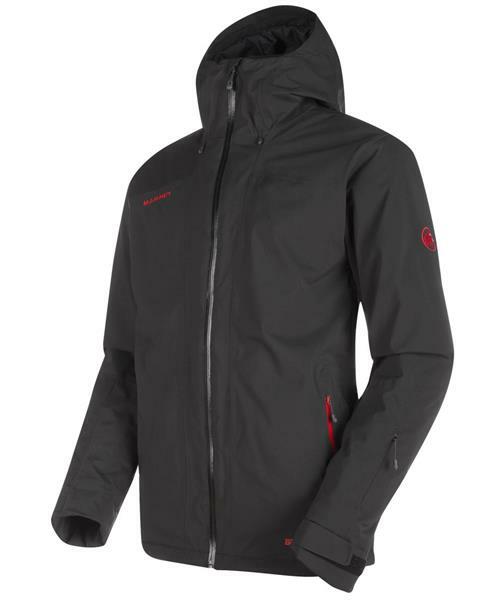 The padded Andalo HS Thermo Hooded Jacket has been specially designed for intense days of skiing. The wind- and waterproof 2-layer DRYtechnology material (water column: 10,000 mm) as well as high vapor permeability ensure reliable weather protection. This hard shell jacket features Ajungilak® OTI™ Element insulation, which ensures that neither the torso nor the arms overcool on cold days. An elastic snow skirt, underarm zippers for optimum ventilation and a 3-point hood adjustment system mean that this jacket is well-prepared for powder.